As mentioned in the previous post Valve has changed the way they do import hiding. Previously there would be a bunch of string objects usually for each module that is being imported so “kernel32.dll” -> “GetProcAddress”,”ReadProcessMemory”, “OutputDebugStringA” etc and these would all be passed through a function which has an initial xor key of 0x55. Now however they changed the operation and they are using IceKey encryption to decode the strings which get decoded in one big block. Runfunc is what is called to run a vac module for a specific scan. 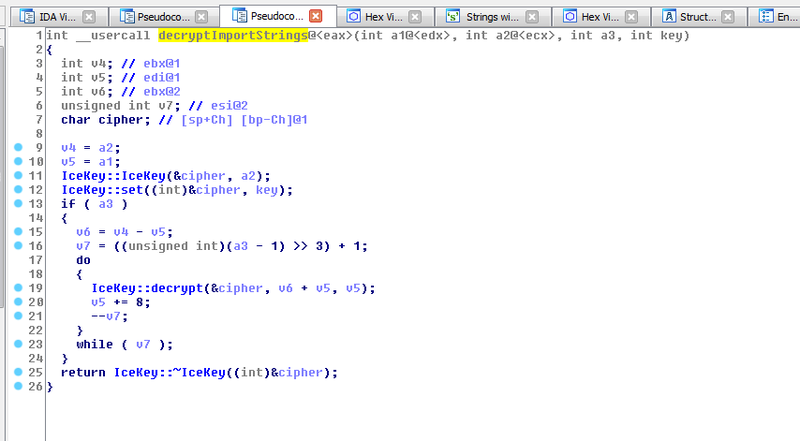 Once the input packet is decrypted a 4byte key is then used to decrypt the string block with size of 0xA80. 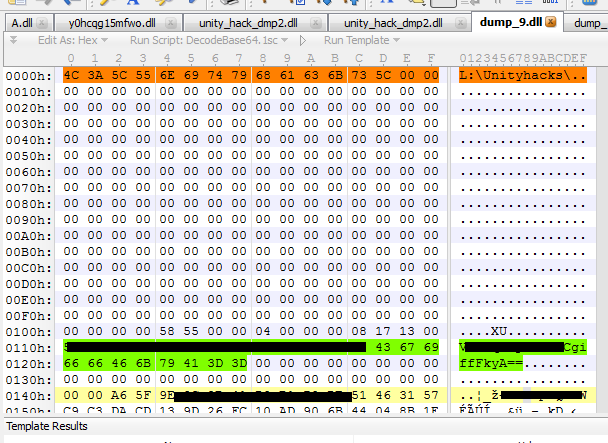 This concept that is utilized by unityhacks is a way of them somewhat securing their cheat loader from detection. It is basically injecting their loader code into another 32bit process and then doing the loading from there. there is also one for handshake but I will not get into this area much so I’m just going over it briefly. Once the user has been authenticated the server will stream a PE image which is the loader code and the hack itself. Obviously we can discover what is being written into the target process by hooking NtWriteVirtualMemory and even if direct systemcalls were done there are still ways of dumping the written buffer. What makes them more silly is the fact that they stream in the PE image header like I mean even if they didn’t you can reconstruct the sections .text .data .reloc etc when its been mapped however this just makes our lives easier. 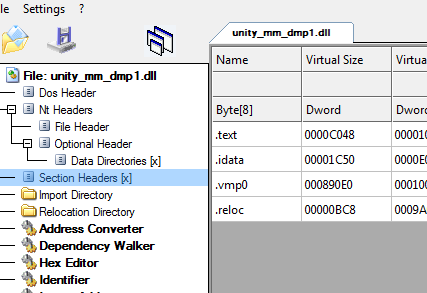 Looking at the PE image header we can see at a first glance they are using VMProtect indicated by the ‘vmp0’ section header name. 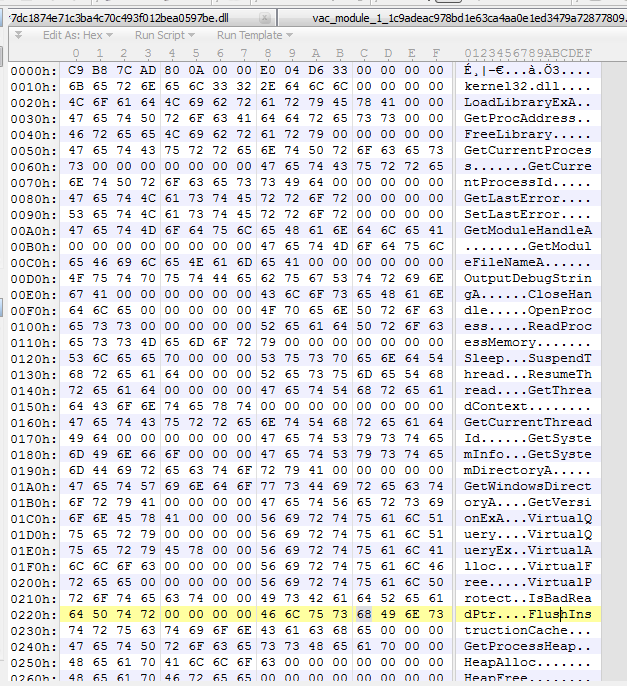 Strings of the PE Image indicate references to a hardware id function. and you can see they have some web address there of google which my guess is used for testing net connectivity. 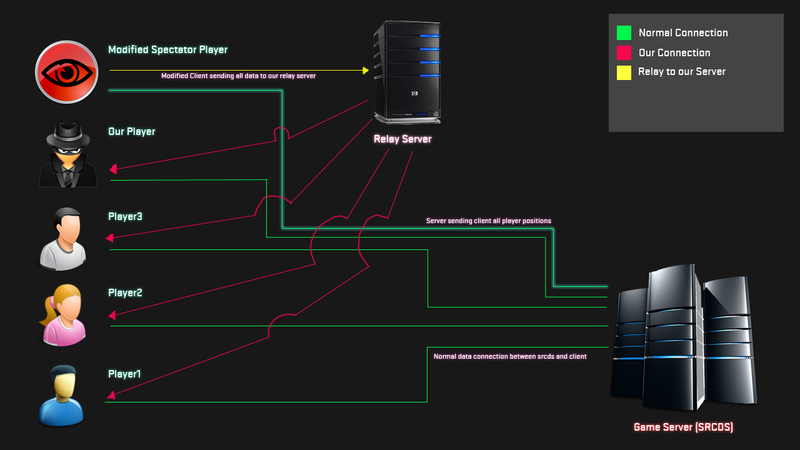 Now this PE image is mapped into the dummy process along with a few other things. 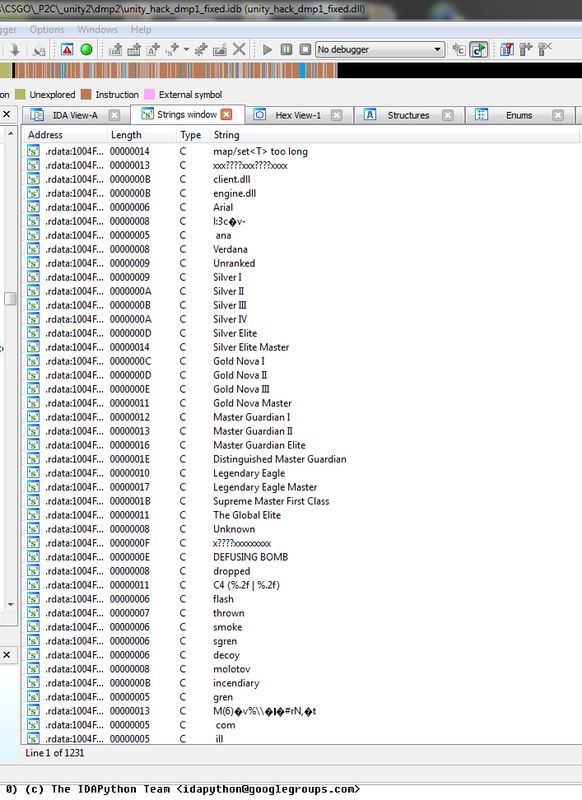 One is a segment which contains the Loaders folder path + some data about your hardware id. Once counter-strike global offensive is running it will begin to map itself into csgo. Once again PE header of the image is there they map the sections along with your hwid segment which has the path to the loader. The ascii path is plaintext they don’t do any xor or any other method of hiding it. 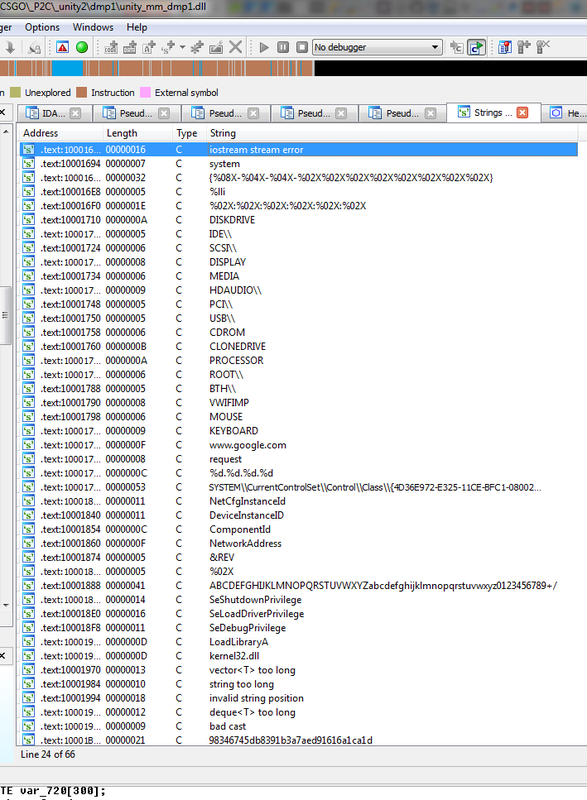 Cracking the file open in IDA we notice a few things. :0 Looks like the addresses are fixed to that instance of injection (they are based around 0x30000000). My guess is the server or the loader relocates the addresses on each run it can be fixed easily though. A simple signature search for “\Unityhacks\” in the csgo address space will be enough to detect this cheat. Emulating the hwid function and cracking this cheat is also feasible some have done it in the past eg. 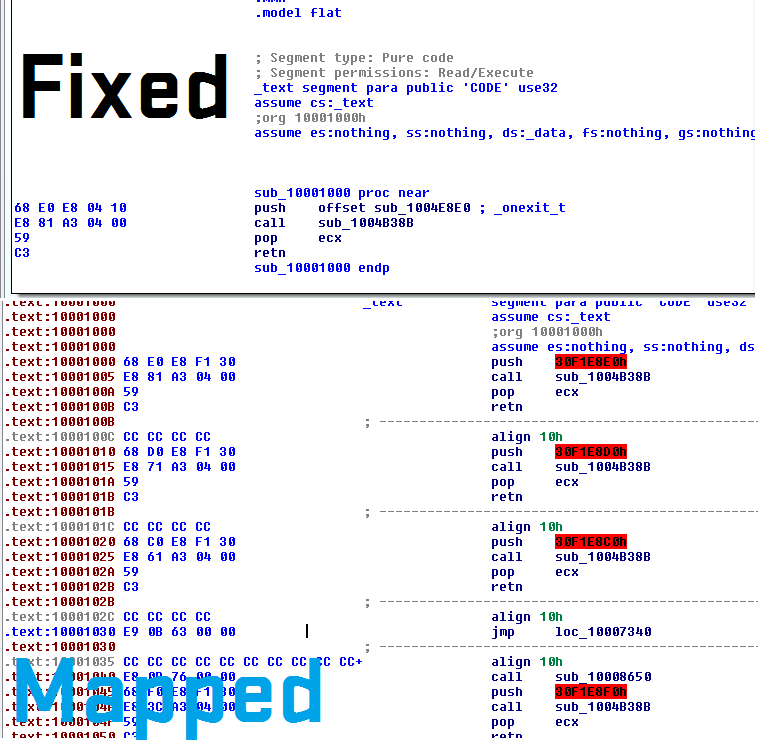 CaptionJack @ r3cheats just takes a little time to write a emulator which maps the required sections and patches the image for run. 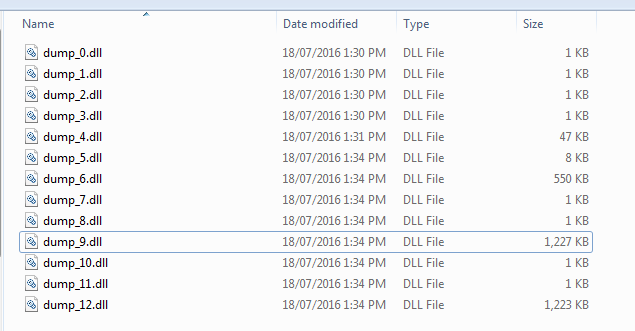 If you want a copy of the dumped files + hack image for analysis purposes pm me I will not post public links nor will I post a working crack. So you may remember the incident from a long time back when a whole bunch of Modern Warfare 2 users got VAC banned for no reason. For those who haven’t been following the VAC team they have been in somewhat of a hibernation over the past months as VAC bans handed out were not targeting specific P2Cs (Pay 2 Cheat). However more recently they have come back and are now actively targeting cheat providers again. 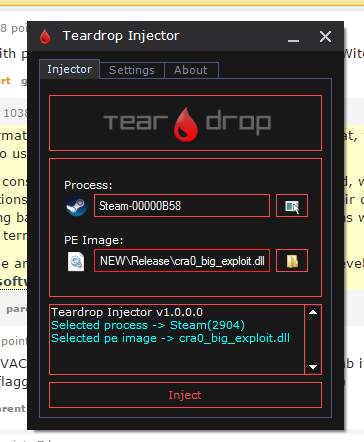 The last update to Steam shows that VAC3 is now loaded when you sign into an account this isn’t really an issue if you know the ways around it (I have a VAC disabler in the works coming soon to cra0vision.net) but they are more aggressively scanning for cheat software now before a VAC secured game is even launched. This aggression has shown some downside as some false positives were in fact stated by the VAC team today on reddit. Research work on VAC and such will most likely be posted on UnknownCheats or this blog if you are interested.